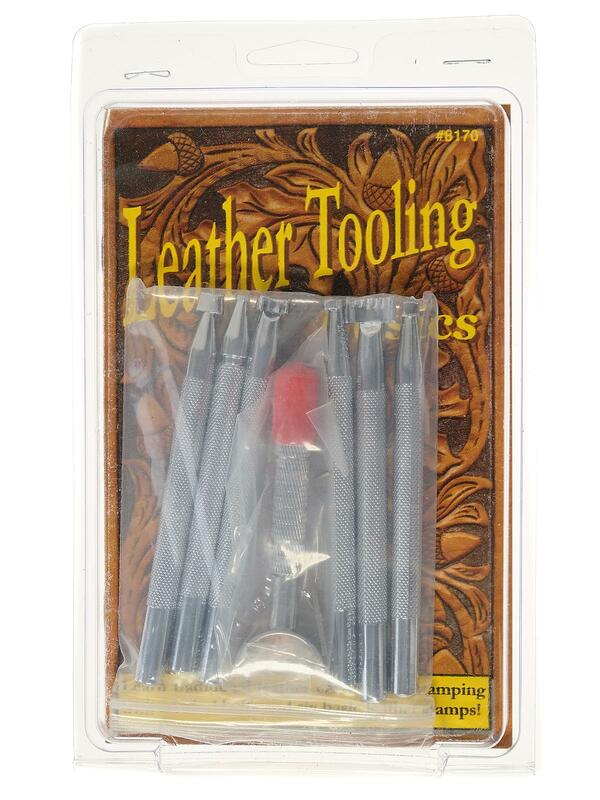 This set is a great introduction to the art of traditional leather carving. These lifetime tools are designed to work on veg tanned leather for belts, bags, pictures and more. 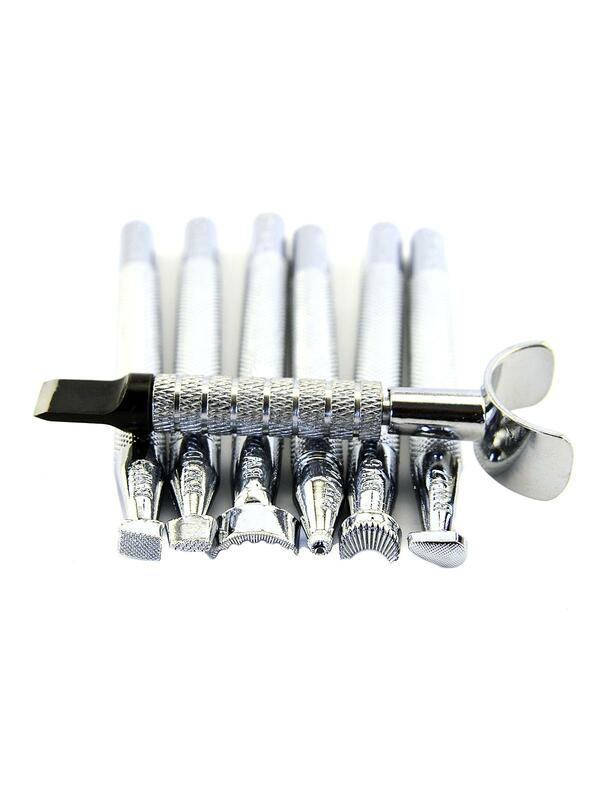 Included inside are a swivel knife, 6 high quality stamping tools and an instruction booklet.